It’s 3.30 am and my alarm is blaring. I groggily turn it off and force myself to get out of bed. I don’t bother showering — I know it’s going to be a hot, sweaty day. I put on some jean shorts and an old t-shirt and jump in the car for the ride down to English Harbour. It’s still dark when we get there. We park up and make our way to the boat that’s been waiting since last night. The captain slept on the boat and the rest of the crew is already on board. We start getting ready for the 6 am start of the tournament. The sun is now rising as we and the other boats leaving from English Harbour make our way to our favourite fishing spot — nearly thirty miles offshore. At exactly 6 o’clock, our lines hit the water. Another Francis Nunes Jr Memorial Fishing Tournament — named for one of Antigua’s most avid sports fishermen, who died in 2008 — has begun. If you’ve never been sports fishing, it’s an experience not for the faint of heart. Hours and hours in the hot sun, trolling back and forth along the bank where the Antiguan land shelf drops into the deep blue sea. Hours of boredom, watching the lines jerk and shiver, waiting, waiting . . . until snap! The line jumps and the reel starts to scream. It’s a strike! The crew jump up and pull in all the lines except the one that’s hooked the fish. The captain choses a crew member to take the line. Since it’s a competition, there are rules in place. Only one person can set the hook and reel in the fish, but help is allowed to bring the rod to the angler, so as I seat myself in the fighting chair, it’s handed to me with the reel still screaming while the line lets out. It’s a good size fish. We’re not sure what — we’re hoping for a kingfish or wahoo. I adjust the drag on the reel so the line slows and the screaming stops. I pull hard on the rod. The tip lifts above my head and I quickly let it fall to waist height, reeling frantically as I do so. I have to remember to guide the line on to the reel so it doesn’t tangle. I repeat the motion, and again, and again. My arms and shoulders are starting to burn, but I’m getting line back on the reel. Zing! And the fish has taken back all the line I’d managed to reel in. It’s exhausting, but so exhilarating. Eventually, after an hour, the fish is tiring. It still has some fight, though, and out behind the boat it jumps, trying to throw the hook. 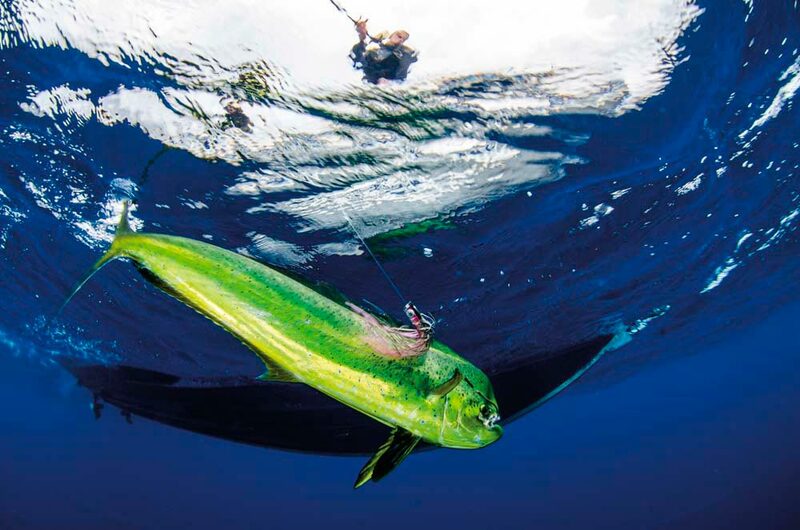 It’s a beautiful dolphin fish (also known as mahi-mahi). Its colours flash yellow and green as it jumps again, trying its best to escape. But victory is mine as I get it close enough to land on the boat. We return to the club with a few fish caught. My dolphin is nearly thirty pounds, but none of our crew wins any prizes this year. Doesn’t matter, though, we have had an amazing day at the tournament. And back on the dock there’s better to come, as a seafood festival is underway. There’s a lot to sample, with fresh fish, lobster, conch, and other seafood on sale, not to mention copious amounts of beer and rum to wash everything down. I’m sunburned and tired, but as I lime and chat with all my friends, I’m already looking forward to the 2017 event, scheduled for 23 September. 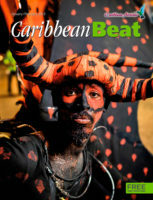 The earliest known Trinidadian is an individual known as Banwari Man. That’s the name given by archaeologists to the skeleton found in 1969 at Banwari Trace in south Trinidad, buried in a shell midden and dated to around 3,400 BC. That far back, it’s possible Trinidad was still connected to Venezuela by a land bridge across the Gulf of Paria. So the human history of Trinidad began even before it was an island. 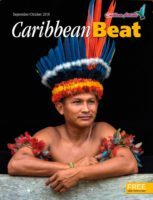 Most Trinidadians today still use the old anthropological term “Amerindians” to refer to these indigenous First Peoples. 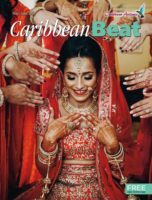 For several thousand years they lived in communities across the island whose names are still in use, like Mucurapo and Chaguaramas, Chaguanas and Arima. 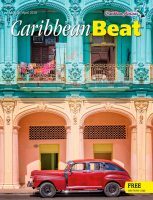 They had complex social systems, trade links with the South American mainland and with the Antilles to the north — the geographical location of Trinidad would have made it a kind of transport hub connecting continent and archipelago — and a rich culture. 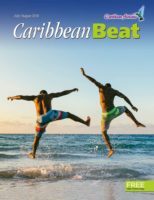 Trinidad was “Amerindian” territory for several thousand years, and by comparison the five centuries since the arrival of other peoples from across the Atlantic, in the persons of Christopher Columbus and his crew, are a blip on the historical timescale. The island was called Iere for far longer than it’s been called Trinidad. For all that, the average citizen of T&T remains largely ignorant of this aspect of the country’s past. 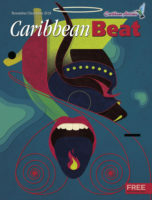 At school, we’re taught a distorted and simplified version of history, involving “peaceful” Arawaks and “warlike” Caribs who were almost completely “wiped out” by the aggression of Spanish conquistadors and by disease — leaving only a small, isolated remnant in the foothills of the Northern Range near Arima, the Santa Rosa Carib Community. In the past decade and a half, there’s been a small but growing movement to rewrite this misleading old narrative, led by members of the Santa Rosa Community themselves. 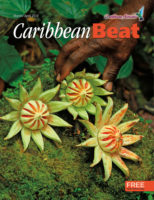 We’ve been reminded that historical records identify multiple indigenous groups — not just “Arawaks” and “Caribs” — flourishing in Trinidad up to the seventeenth century. Far from being “wiped out,” their descendants went underground, as it were, adopting new names and adapting to changing circumstances in the first decades of Spanish colonisation, intermarrying with new arrivals to the island — an untold number of Trinidadians have indigenous ancestry, and most don’t know it — but quietly preserving their history, culture, and deep knowledge of Trinidad’s natural environment. These unfamiliar facts have been explored in creative forms by artists like the writer and filmmaker Tracy Assing, and documented by scholars like the American anthropologist Maximilian Forte. 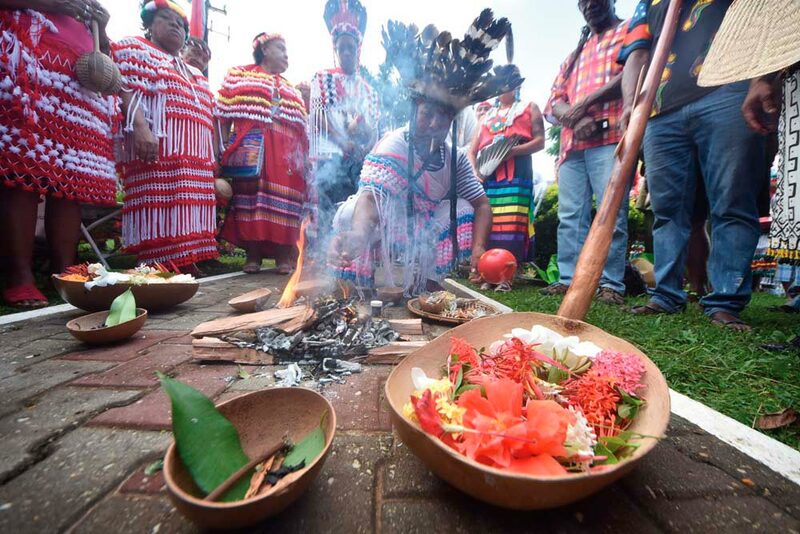 Meanwhile, the voices of the Santa Rosa Community have grown ever louder, demanding that Trinidad and Tobago’s indigenous history be recognised for its place at the heart of the country’s national story. It’s a campaign that was only helped by the discovery of an indigenous burial site during restoration work on the Red House, seat of Parliament in Port of Spain. The symbolism couldn’t be more clear: the structure representing T&T’s sovereignty and democracy has indigenous remains in its literal foundations. For centuries, the Roman Catholic festival of Santa Rosa in late August has been adopted by the Carib community as a celebration of their own heritage, and in recent years it’s been the start of a weeks-long commemoration of indigenous history. 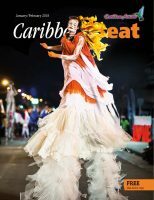 And in 2017, for the first time, there will be a special national public holiday in recognition of the First Peoples’ overlooked contribution to the development of modern Trinidad and Tobago, on 13 October. Some members of the Santa Rosa Community have questioned the value of a single one-off day of commemoration after centuries of deliberate amnesia. But the community as a whole has welcomed the gesture, and issued a “homecoming call,” inviting citizens to participate and make the indigenous heritage holiday a truly national event. Simply having the holiday declared, after extensive lobbying, is an achievement, to be sure. But just as surely, it’s only the beginning.